For fellow jazz fans who came of age during the ‘70s and ‘80s, Pablo Records is probably a familiar name in your record collection, or the stacks of a friend. In 1973, jazz impresario and civil rights crusader Norman Granz returned to the record business. The founder of Jazz at the Philharmonic and Verve Records, who had sold the record label to MGM in 1962, named his new label after his friend Pablo Picasso. The distinctive black covers, with only black and white photos and white-on-black text in the early years, held recordings from Granz’s vault as well as new sessions from an impressive array of jazz veterans. When he started Pablo Records, Granz immediately signed the three top artists he managed— Ella Fitzgerald, Oscar Peterson and Joe Pass. He quickly followed by attracting to his label the likes of Count Basie, Duke Ellington, Dizzy Gillespie, Joe Turner, Zoot Sims, Louis Bellson, Milt Jackson, Herb Ellis, Jon Faddis, Freddie Hubbard, J. J. Johnson, etc., etc., etc. In short, Pablo soon became an all-star showcase for older but still vital jazz artists who played a style that mostly harkened back to bebop and the big band era. This was not a home for free-jazz rambling or fusion jazz-rock. Granz stuck with the styles, and many of the artists, who had worked well for him at Verve. It’s worth noting that many of these artists had been without recording contracts, as major labels moved away from more melodic and acoustic styles of jazz. Granz knew what he liked, but he was far from a fuddy-duddy. In his vaults were ground-breaking live recordings he had personally financed including John Coltrane’s early 1960s quartet, and dozens of hours of solo and small-group recordings by piano legend Art Tatum. These pre-Pablo recordings were released alongside new studio sessions and, starting in 1975, frequent live-recording trips to the Montreux Jazz Festival near Granz’s home in Switzerland. Concord Music Group acquired the Pablo label as part of Fantasy Group (also home to the Riverside, Fantasy and Prestige jazz labels). In recent years, Concord has launched several reissue series, freshening up their CD catalog with new, high quality remasters. Their Stax Remasters series has been reviewed favorably here and elsewhere. The same philosophies and the same mastering engineer, Joe Tarantino, were applied to the Pablo catalog. 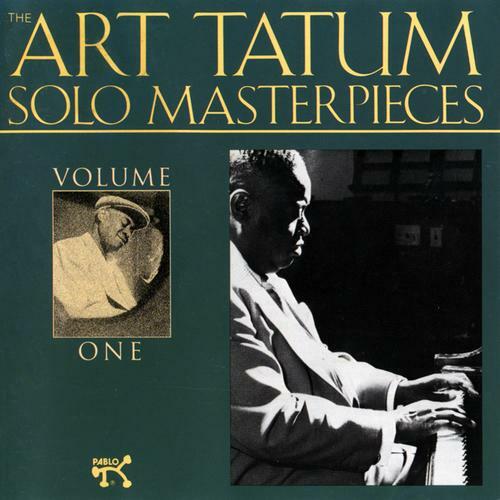 This first series of Pablo Remasters includes: a fast and furious solo piano album by Tatum recorded in 1953 and 1955; two CDs of live Coltrane from October and November, 1963; Duke Ellington “suites” song-groups from 1959, 1971 and 1972; a Dizzy Gillespie led small group outing from 1974; Zoot Sims diving into the Gershwin songbook, with Joe Pass and Oscar Peterson along for the ride, in 1975; and a 1979 live tet-a-tet between Peterson and French jazz violinist (and pioneering partner to Django Reinhardt) Stephane Grappelli. The most daring material here is the older recordings. Granz’s work documenting Tatum’s skill and unique style at the piano was legendary in its day. Those not accustomed to a “busy” solo pianist may find the extra-long CD a bit fatiguing, but piano players and fans will likely sit in awe of Tatum in his element. Coltrane is also a polarizing artist. In these recordings, from his 1963 European tour, ‘Trane and his fellow travelers—McCoy Tyner on piano, Jimmy Garrison on bass and Elvin Jones on drums— are pushing the definitions and contours of jazz outwards, heading toward what would later be called “free jazz,” but often returning to familiar structures like melodies and steady tempo. The main thing Coltrane is doing differently at that time was throwing long showers of notes and riffs over a somewhat minimalist background. He runs up and down the sax, squeaks and squeals, varies his timing and intensity and otherwise conducts a revolt against more traditional jazz styles. 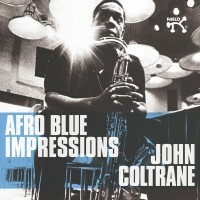 As in Coltrane’s time, this will have great appeal to some and sound like irritating noise to others. Few would call Duke Ellington’s clever arranging and creative composing mere noise. In his three suites—”The Queen’s Suite” from 1959, “The Goutelas Suite” from 1971 and “The Uwis Suite” from 1972—Ellington paints pictures and draws his sounds from nature and human activities. It’s very far from jam-session jazz but it swings and avoids concert hall stuffiness. Ellington’s music has a timeless, universal feel to it without feeling heavy and humorless. A “Gershwin Songbook” outing can be tame and dull or it can be original and engaging. Zoot Sims took the latter tack, with Peterson and Pass in lock-step. The tunes are familiar but the interpretations are unique, and everyone has turns at master-class level solos. Sims made a series excellent albums for Pablo, and here’s hoping the rest of them get this kind of remaster treatment. 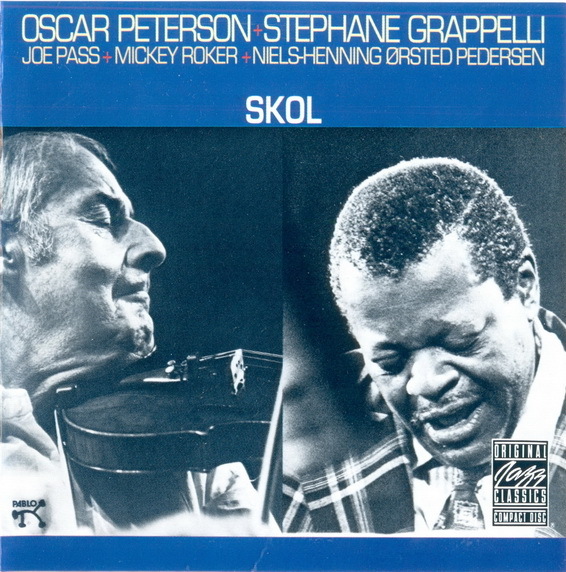 The album with the latest recording date in this first series of reissues—Peterson and Grappelli’s July 6, 1979 concert at Copenhagen’s Tivoli Concert Hall—is the most surprising. One doesn’t usually think of Oscar Peterson playing with a pioneer of European hot-jazz, or a violinist for that matter. But there they were, with Pass doing his best Reinhardt imitation and with rock-solid backing from Niels-Henning Orsted Pedersen on bass and Roker on drums. Every minute of this CD is special, and the recording is superb. Only Roker is still living. This recording stands as a tribute to the musical gifts all of these men shared with audiences around the world. The music and the playing are timeless. As is the case with other Concord reissue series, bonus tracks were included on these discs. Their value varies. On the live album, the extra tracks from the same concerts are welcome and stand well with the original sequences. 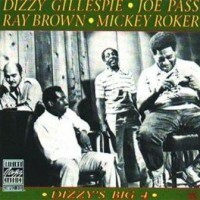 The Dizzy disc includes a couple of alternate takes that were clearly rejected from the LP for good reason (sloppy playing). 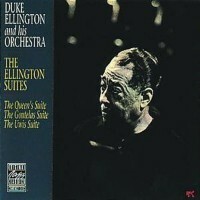 The Ellington disc contains a previously-unreleased song, “The Kiss”, also recorded at the 1972 session. It’s a swinging little ditty, like the band and Ellington let off some steam after the tight suite arrangements. 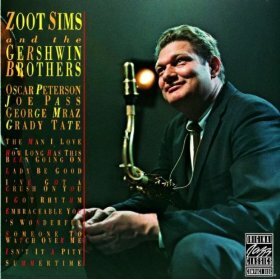 The extra Zoot Sims tracks are a mixed bag: one additional Gershwin tune not on the LP and two mediocre alternate takes. Concord should keep a steady stream of Pablo Remasters coming. Producer Nick Phillips made some creative and unexpected choices in this first batch, encompassing a wide range of styles and a long timeline. But there are so many other gems in the Pablo catalog. Hopefully, the Basie Jams series, the outstanding Montreux 1977 live recordings and the many great vocal recordings by Ella Fitzgerald and Sarah Vaughn are in the queue for reissue. Not to mention all the great Oscar Peterson and Joe Pass albums. Heck, hopefully the whole Pablo catalog will get the deluxe reissue treatment! For a free download of a compilation featuring tracks from Concord’s Original Jazz Classics Remasters series go to: http://www.ojcremasters.com.